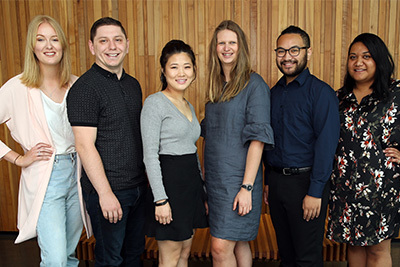 Applications are invited from students enrolled in Master of Design theses for grants to support research conducted at the Auckland War Memorial Museum Library. The research will make extensive use of the documentary heritage resources of the Museum Library, Te Pātaka Mātāpuna, a repository for manuscripts and archives, photographs, ephemera, maps, and publications including early newspapers. The successful applicant will have a primary supervisor who is an academic staff member in the School of Art and Design, Faculty of Design and Creative Industries, Auckland University of Technology and will have a secondary supervisor from the Curatorial or Collection Management team at the Museum. The successful applicant will have fortnightly supervision meetings with their supervisory team as well as guided access to the Documentary Heritage collections. Foundation Certificate and Diploma Studies Second-Chance Education Awards are for women who are engaging in tertiary education for the FIRST TIME, at either a Foundation Certificate level (NZQA level 3-4) or Diploma level (NZQA level 5-6), who do not already have a tertiary qualification at that level, and have not previously received a NHWTHK award. The awards are a one off grant to help with study and/or living expenses. Research Awards aim to support women who are conducting research that benefits women and/or girls in Aotearoa New Zealand. Second-Chance Education Degree study Awards are for women who are engaging in tertiary education for the FIRST TIME, at a Degree level (NZQA level 7), and have not previously received a NHWTHK Award. The awards are a one off grant to help with study and/or living expenses. The goal of the Awards is to support research by New Zealand students on development issues of relevance to the New Zealand Aid Programme and to foster capacity (development field knowledge and research skills) of future New Zealand development professionals. Objectives: • Assist New Zealand postgraduate students to conduct field research on development issues. • Foster body of knowledge and future pool of New Zealand expertise on topics of interest to countries and sectors in which New Zealand delivers aid. • Build student capacity for conducting development research, applying practical development field knowledge, and delivering targeted research products for use in policy and practice. • Build awareness of the approach, focus and objectives of the New Zealand Aid Programme. • Generate critical analysis, research findings and knowledge of potential use to the New Zealand Aid Programme, developing country partners and other development organisations. This is an opportunity for a person of Ngāi Tahu descent who is either starting or already studying a tourism qualification and would like support with study fees (up to $6000 per year for three years), the chance to get paid holiday work and invaluable work experience, and to learn more about their iwi. As well as recognising academic achievement in students of Ngāti Whātua Ōrākei descent, these scholarships recognise potential leadership ability and contribution to the school, and community. We invite applications for study grants from people wishing to undertake education to upskill themselves for employment. To encourage research in relevant disciplines (entomology, plant pathology, weed science, zoology, ecology, and plant protection sciences), on topics relating to control of pests, pathogens and/or weeds in primary production (pastoral and arable agriculture, horticulture, foresty), or the natural or human environment. For Chinese language study in China each year.